This is Part 2 of a 6-part series. Make sure to check out Part 1 for the introduction. 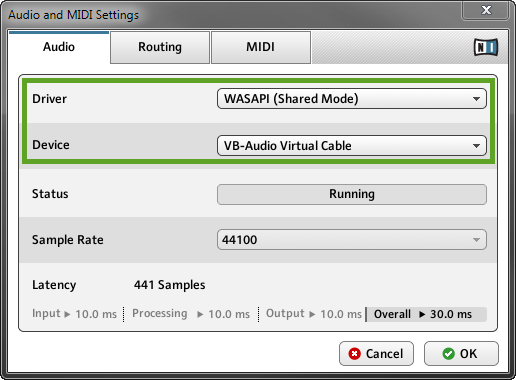 This is the simplest method I'll describe in this series, and it involves simply sending virtual instrument audio directly to SampleRobot via a virtual audio cable. 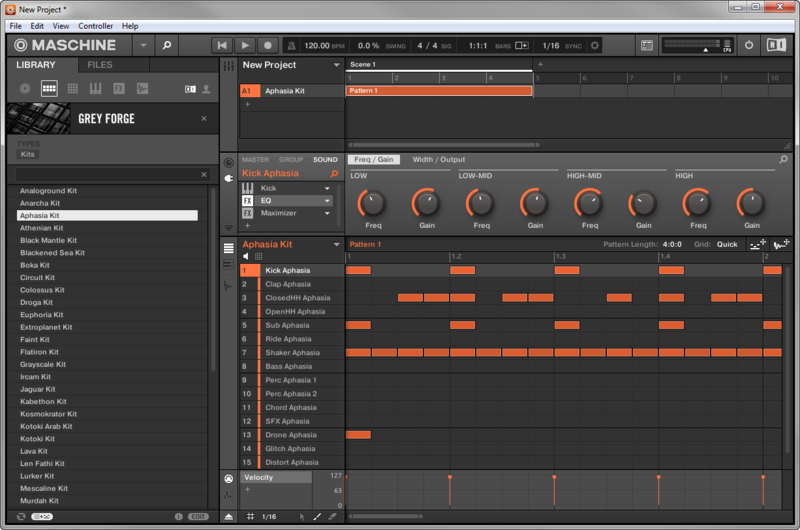 The instrument I recorded while making the screenshots below was Native Instruments Maschine . 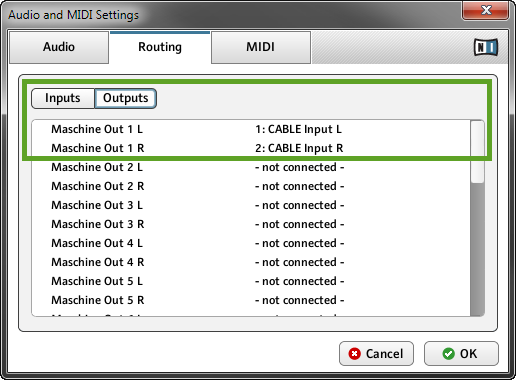 The exact MIDI and audio options in your instrument or plugin host might have different names from what you see in the pictures. Advantages: Cheap and easy to do. Suitable for any edition of SampleRobot. Disadvantages: Limited to only 16-bit audio depth. Install VB-CABLE if you haven't already. These instructions assume you're using the single "VB-CABLE Driver" version, not the "hi-fi" one. If you just installed either of the above programs, restart your computer before attempting to proceed with recording. Some applications don't "see" their devices until you've rebooted at least once. Here I've loaded the Aphasia kit from the Grey Forge Maschine expansion. You won't be able to use the control panel (CP button) or audio in device monitor (the tiny blue button) of SampleRobot with this method because those only work for ASIO devices. When your project is all ready to record, click Rec in the Projects window, and then click Start Recording. You probably won't hear anything while recording is in progress. When recording is complete, little waveforms will appear under the virtual keyboard. 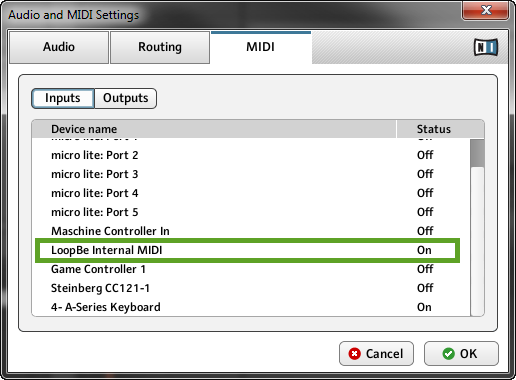 You can test the recorded samples by clicking (and holding down) the left mouse button on individual notes (or triggering notes with a MIDI keyboard if you have one specified in the MIDI In Device field- remember to hold down keys to hear the samples ring out). If your samples seem to have completed successfully, go to the Import/Export menu to export the samples into your desired target format. If you're using the default settings, your exported samples will be trimmed down to only contain actual audio (which is good!). 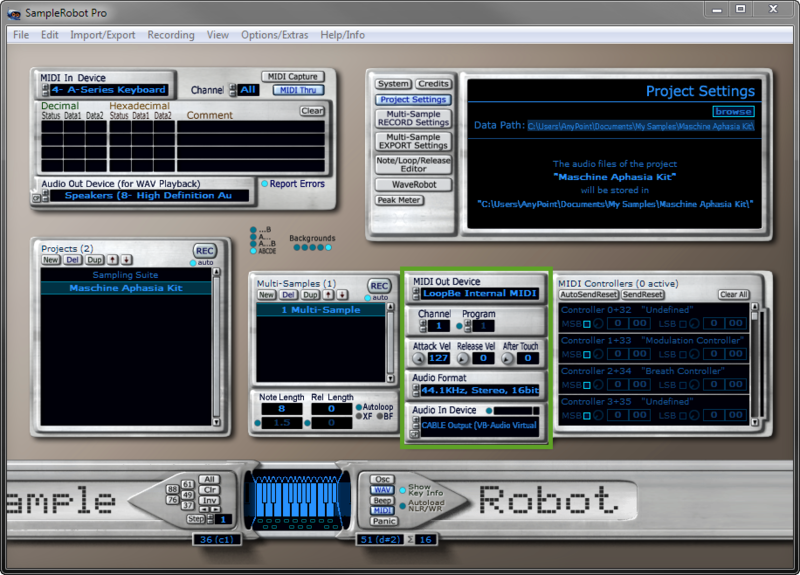 I like to save my exported files into a new folder called Exports inside my SampleRobot's Data Path folder. Here's a look at the resulting samples I got after exporting the above project. 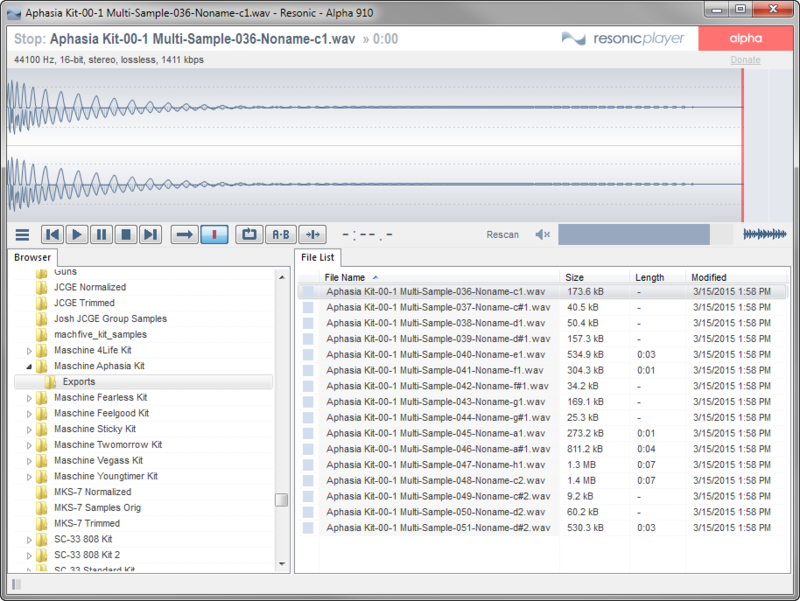 I am using Resonic Player to preview my samples.